Three German business delegations plan to visit Yekaterinburg in 2018, the Sverdlovsk regional information department informed citing the German consul general Stefan Keil. In March, Bavarian entrepreneurs are going to attend the Ural-2018 metal works and welding exhibition. In June, the tourism and agricultural representatives will arrive from Rheinland-Pfalz. In July, a delegation from Baden-Wurttemberg is to participate in the Innoprom-2018 exhibition. According to Mr Keil, Germany and Russia are mutually interested in business dialogue on the regional level. 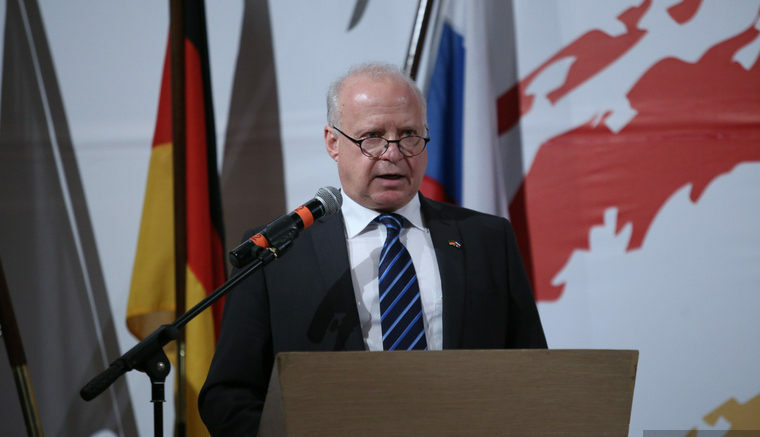 During his meeting with the regional minister of international cooperation Vasily Kozlov, Stefan Keil noted that Germany has become one of the leaders in terms of the volume of investments into the Russian economy. Keil added that the German consulate has issued 40% more visas for the Sverdlovsk region applicants this January, compared to January 2017. Be the first to comment on "Three German business delegations to visit Yekaterinburg in 2018"